Drone Surveys are the future of visual inspection. At Vertex Air, we understand the risks and limitations that can present themselves when you need to carry out an aerial inspection, roof inspection or land survey. For this reason, Vertex Air employ the use of high performance, industrial specification, drones in order to undertake our surveys in a safe and efficient manner. Each project is robustly Risk Assessed (RAMS) and planned to ensure the safe operation of our services. 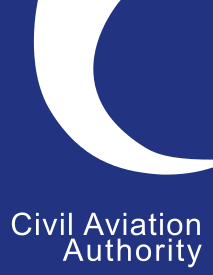 Our works are conducted to our CAA (Civil Aviation Authority) Approved Operations Manual and our drone surveying services are fully insured. Using state of the art UAV technology, we are able to manoeuvre close to buildings and structures, into awkward or risky positions where another means of access may be unsafe, inappropriate or expensive. We avoid the use of scaffolding, cherry pickers (MEWPS) and, inline with the HSE (Health and Safety Executive) Hierarchy of Risk Control, we require no persons to be working at height, ensuring the highest level of safety. Whether you need to check for defects at roof level or you require high resolution aerial photography of a particular property or region, our aerial inspection services are the ideal solution. Our services are also highly efficient. In the time it might take you to arrange access to a building, to arrange safety briefings and to carry out a survey or inspection, our UAV drone could carry out the same inspection several times over.